This exciting biome offers natural emerald ores and silverfish exclusively, thanks to its extensive tunnel system. However, your character is likely to die from fall damage from its numerous cliffs and ledges. This biome offers oak and spruce trees, snow, and monster eggs. With higher peaks that touch the clouds, this variation of Extreme Hills offers fewer trees, more gravel, and snow. This one truly mixes the two Extreme Hills biomes, providing high peaks and trees with plenty of stone and dirt. Though this variation offers gravel mountains and even a small clearing of grass, it is, again, short on trees. This biome boasts of plenty of spruce trees and ferns with wolves naturally running amok. This biome adds mountains, but no snow, and an abundance of sheep. This uncommon variation has spruce trees that are so tall and thick they practically become jungle trees. Podzol dirt (which is useful for growing giant mushrooms and other plants), moss stones, and wild brown mushrooms are also common. 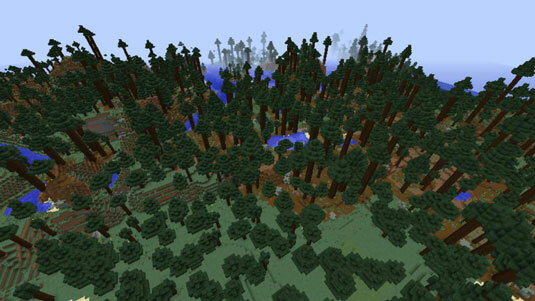 This one is similar to Mega Taiga, but with shorter spruce trees. 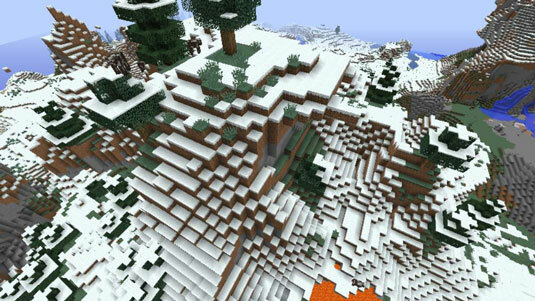 Also called Cliff biome, this one occurs whenever mountains meet the ocean, offering a large amount of stone. Your world doesn’t naturally create this biome; instead, you must advance and create this dimension. Also called Sky biome, it’s where the ender dragon naturally spawns.